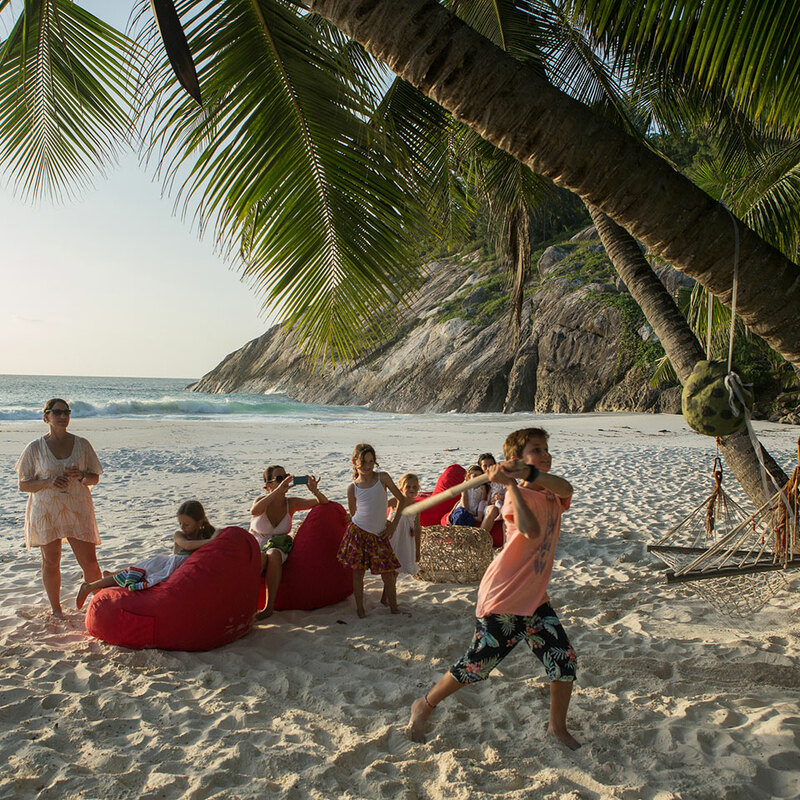 June 2016 – North Island, Seychelles has introduced a range of exciting new activities to its Beach Buddy programme for younger guests. Children can search for buried pirate treasure, learn to scuba dive, or join the Environmental Team and look for the Island’s tortoises and turtles. North Island’s Beach Buddy programme offers a range of interactive island activities for children. 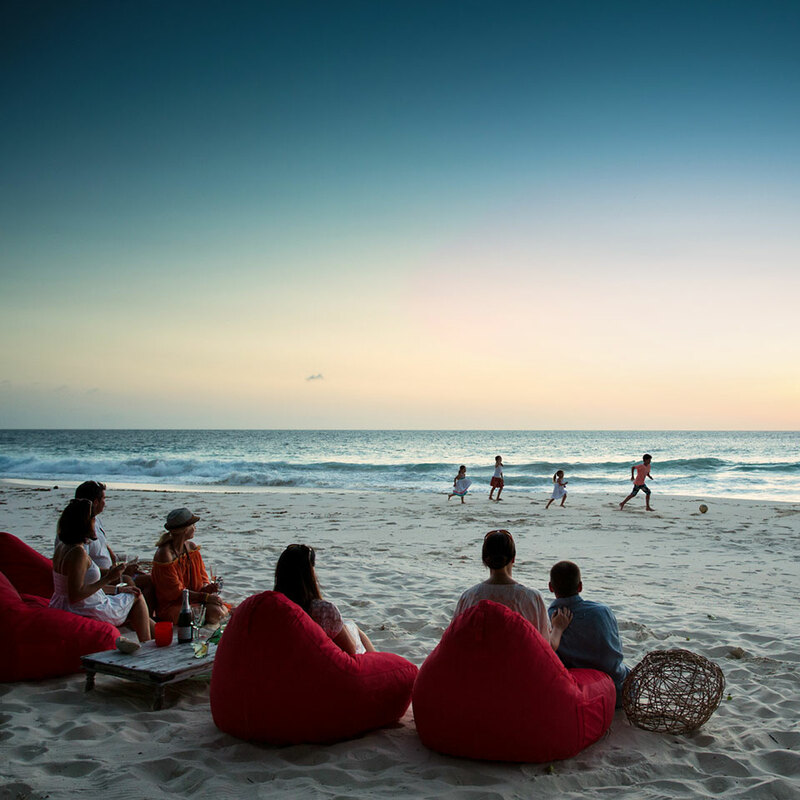 Combined with the Island’s generous family rates, where children under the age of 17 stay for free, and the provision of a full childcare service, the enhanced Beach Buddy programme is sure to give parents a well-earned break. On arrival, children each receive a Beach Buddy Bag with a sun hat, water bottle, bat and ball, bucket and spade, material Frisbee and T-shirt. That’s just the start of their Island adventures. They can go on a discovery walk to meet the resident Aldabra giant tortoises, the oldest of whom could be up to 200 years of age, join the Environmental Team on a beach turtle patrol, or enjoy a movie night with snacks in a cinema created just for them. 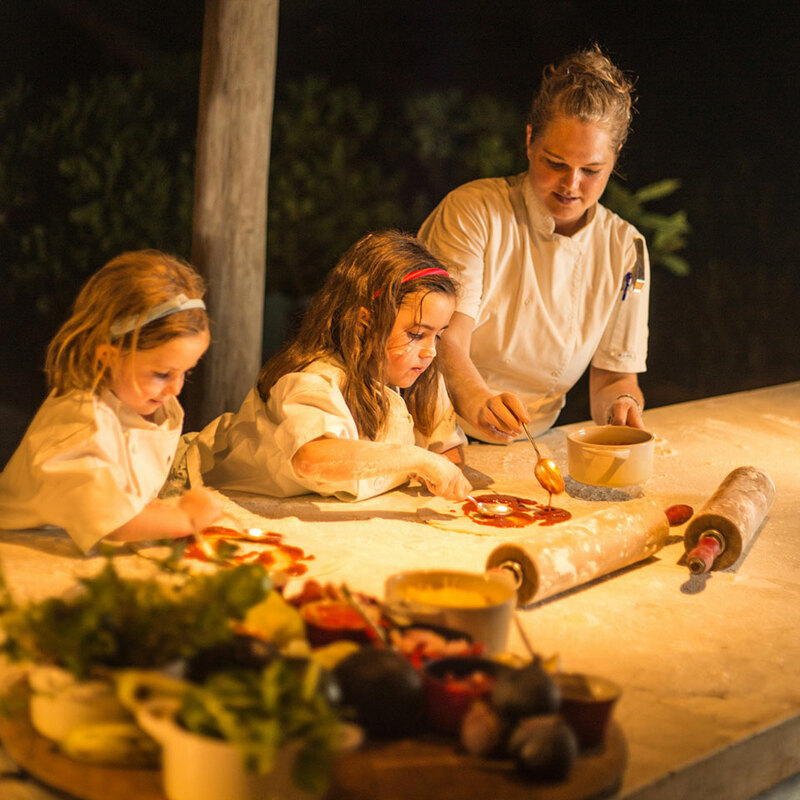 They can also cook their own pizza, wearing a North Island chef’s jacket just like the chefs who’ll be keeping an eye on them, or learn how to dive on a Bubblemaker course, led by the Island’s divemaster. This is a PADI-sanctioned course (like all North Island dive courses) ending with supervised shallow sea dives in search of colourful reef fish and turtles. Any extra energy can be burnt off playing volleyball with the North Island staff, or competing against other families in a mini-beach Olympics. 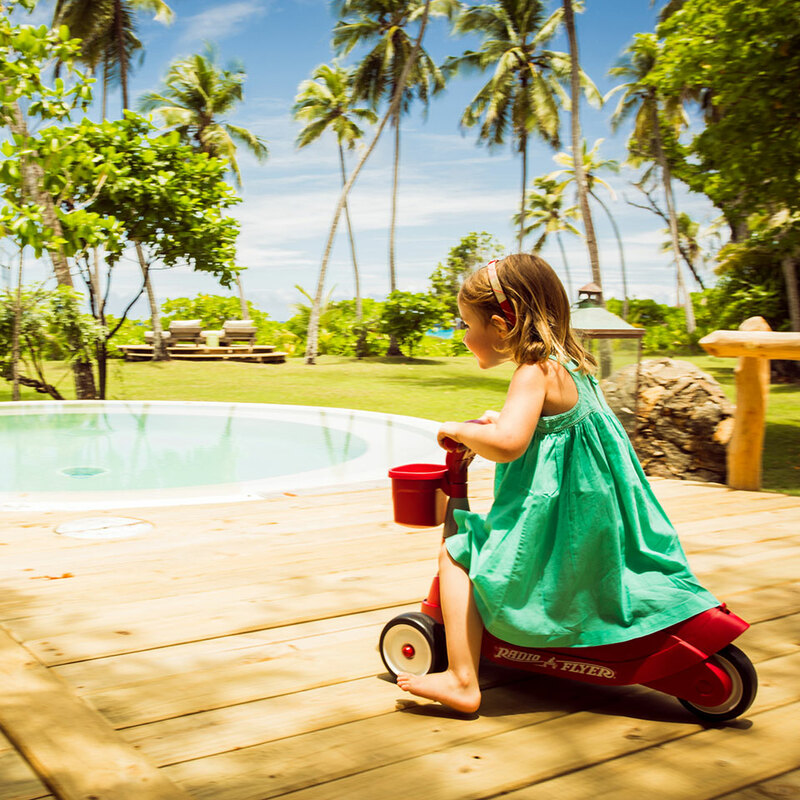 Rather than having a generic “kids’ club”, each family’s North Island experience is tailor-made, beginning with age-appropriate toys or games already in their villa on arrival. A stay on the Island perfectly balances learning and fun, with a dedicated team that enjoys teaching younger guests about the Island’s history, its wildlife, and their own heritage. They are also constantly devising new activities to keep the Beach Buddy programme unique and interesting. The layout of the Presidential villas, each with a second bedroom, was designed with families in mind. 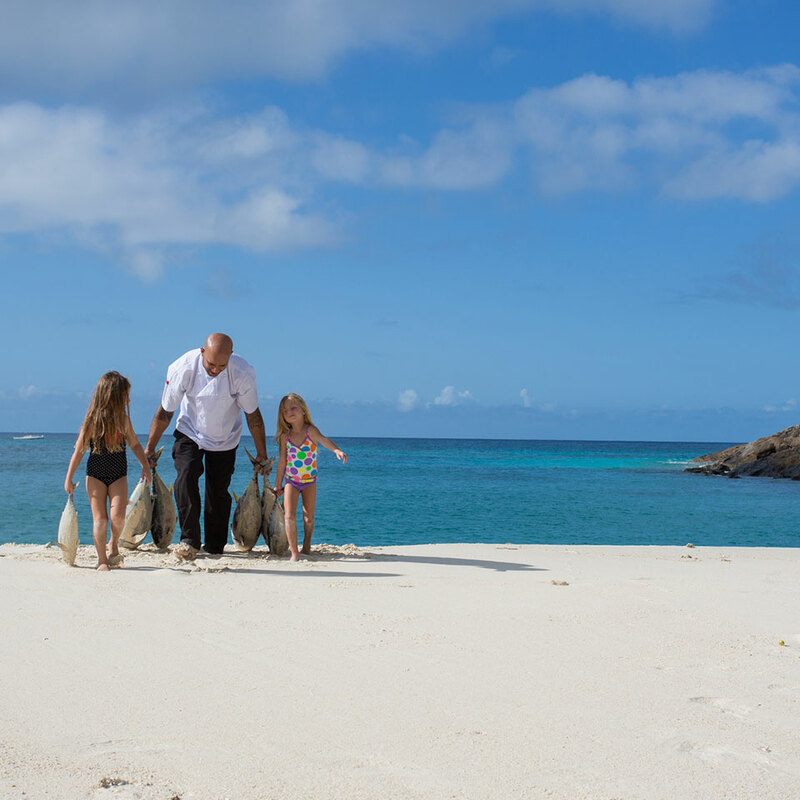 With children particularly cherished in Seychellois culture, younger guests can be certain of an extremely warm welcome and plenty of attention from the North Island team. Wilderness Safaris is an ecotourism company that specialises in memorable wildlife experiences in some of the most remote and pristine areas in Africa. In this way it offers its guests private access to almost three million hectares of Africa’s finest wildlife reserves, while remaining fiercely committed to protecting our planet’s precious natural and cultural resources. Wilderness Safaris operates camps and safaris in some of Africa’s best wildlife and wilderness reserves across seven different countries: Botswana, Kenya, Namibia, Seychelles, South Africa, Zambia and Zimbabwe. Recognising that conservation is as much about people as about the environment, the company has pursued important goals through its Children in the Wilderness programme, as well as through the Wilderness Wildlife Trust, which have helped change the face of nature-based tourism in Africa. Wilderness Safaris firmly believes that its single most important achievement to date is to have built a sustainable business model that does not compromise environmental principles and which provides jobs, training, skills, careers, adjusted horizons, hope and a realistic alternative to less sustainable development. Wilderness Safaris is part of Wilderness Holdings, a group of responsible ecotourism companies and conservation and community development vehicles that together endeavour to use responsible tourism to build sustainable conservation economies in Africa. North Island is one of Africa’s most exclusive private islands, situated 30km from the main island of Mahé, Seychelles. Extremely isolated with only 11 spacious guest villas, North Island is renowned for its luminous white beaches, filigree reefs and azure Indian Ocean. 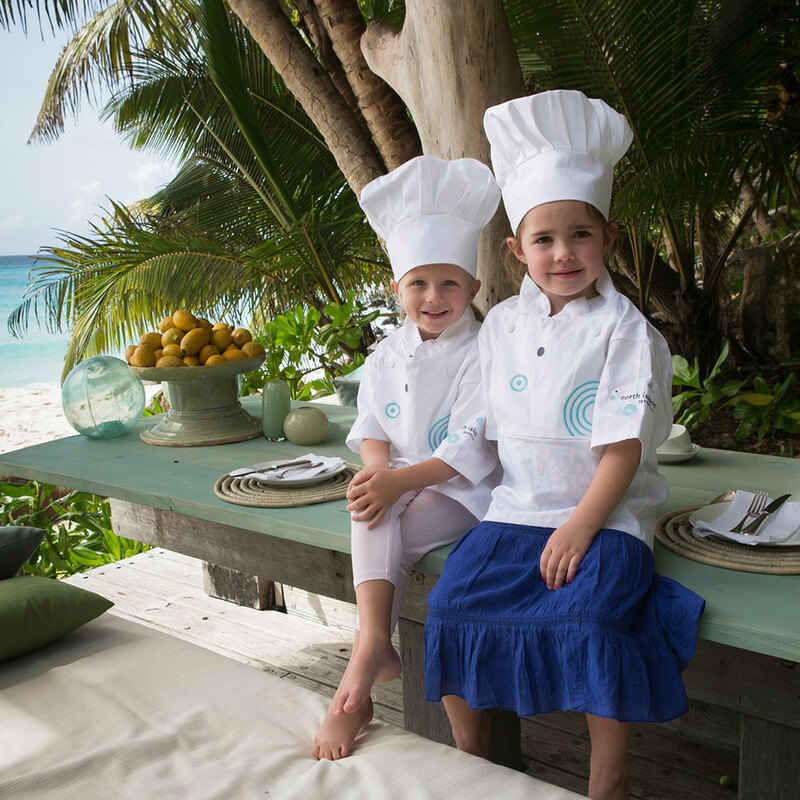 North Island offers an unrivalled all-inclusive experience where guests are able to choose whatever they want to do and eat, whenever and wherever – private beach dinners being a firm favourite. On land or in water, the choices on North Island are many and varied – from cool forest trails and mountain biking to snorkelling, diving, kayaking, fishing expeditions and romantic sunset boat cruises. North Island is a sanctuary where natural habitats, long neglected, were rehabilitated so that endangered Seychelles fauna and flora could be reintroduced and given a place to grow and thrive.